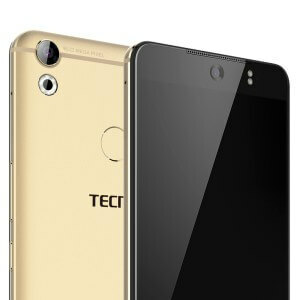 Tecno Mobile officially flagged off their much-publicized Tecno Camon CX (C10) and Tecno Camon CX Air (C10 air) devices recently. These two smartphones have got many Tecno lovers/followers talking since it was announced. The name Camon C10 and C10 Air are the names Tecno fans predicted, but the company chose to go with Roman figures instead. The Camon series of Tecno Smartphones is known to be camera-centric, starting from the Camon C8 down to Camon C9 and now to the Camon CX and CX air which houses 16MP camera on both sides. 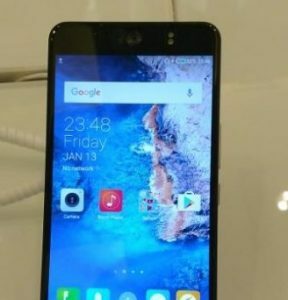 Before the launching of this smart phone, many rumors had been heard about it, but at the launch of the smartphones, it was seen that some of the rumored features and specs were not introduced to the devices. The Tecno Camon CX Air is a variant of the Tecno Camon CX and is seen to be the smaller version among the two comparing their features and specs side-by-side. In this section, I will list out some of the most pronounced features of the latest Tecno Camon CX and CX Air smart phones. Please do suggest other important features I missed out on by using the comment section below. 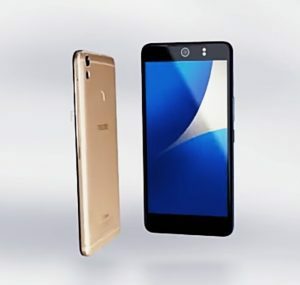 The design of the Camon CX is visibly different from the earlier devices the company has come up with. It is an ultra-slim smart phone with a sturdy design. The camon CX device looks like the flagship device from Apple (iPhone 7) when viewed from a close range. The sleek and full metal body build of the Camon CX smartphone lets it fit into palms firmly. The Tecno Camon CX is the first ever Camon smart phone to feature a fingerprint sensor, it can be found sitting comfortably at the back. The Camon CX comes with a 5.5″ FHD water drop screen, also with a resolution of 1080 X 1920 pixels. With this quality screen display, one can imagine how photos taken with this device will look; truly they are very clear and quality from the samples seen. This device is 4G LTE enabled smart phone which guarantees fast internet surfing and streaming of videos online. 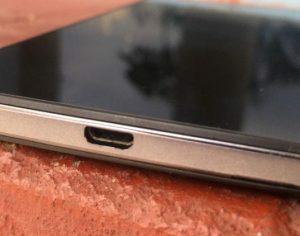 More network and connectivity features of this smart phone include; 4.1 Bluetooth version, A-GPS, Wi-Fi: 802.11 and Micro USB 2.0. The latest Google’s Android OS (Nougat, 7.0) is buried in this smartphone. This latest Android version from Google has many lovely features that enhances the Users Interface (UI) and is better than the earlier versions. Also, the company’s latest OS Tecno HiOS 2.0 is available in this device and it comes with amazing features for a modern smart phone. 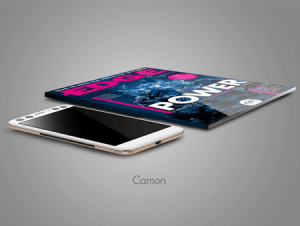 This awesome combination means more power for Tecno Camon CX users. This aspect is the selling point of Tecno Camon CX. The 16MP sharp shooters located at both side of this devices has won the heart of many. The camon CX device stands tall as a King in these days of selfies. You can hardly go wrong with one as the 16MP cameras are backed up with a ring flash and dual LED flash. One can also activate the 120° wide-angle mode in big gatherings. 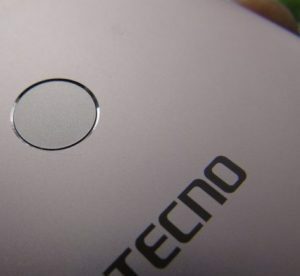 The Tecno Camon CX is the first Tecno smartphone from the Camon series to feature a fingerprint scanner. The fingerprint scanner can be used for many operations including security lock features and Google play store wallet access. The Fingerprint scanner is located at the center, rear panel of the device where it is comfortably fitted. This smartphone houses a 2/3GB of RAM and 16/32GB of ROM which can be expanded up to 128GB via Micro SD card. Tecno Camon CX is powered by a 1.5 GHz MediaTek MT6750T Octa-core processor and Mali 860 GPU. This makes the device perform faster in any given condition. Quite a lot of sensors were adopted in this device to enhance mobile tracking and also to help us locate a particular place or region. These sensors include; Digital Compass, Accelerometer, Proximity Sensor, Light Sensor, Rear Fingerprint Scanner, Intelligent Digital Assistant and Voice Control. Some Tecno smartphones like the Camon C8 and C9, Tecno L9 and L9 plus are known to pack good battery life. 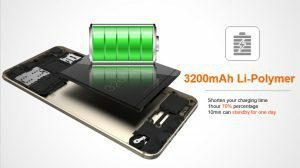 Camon CX is not left out either; it has a 3200 mAh battery (non-removable) with 9V/2A fast charging technology. The Tecno Camon CX is officially launched and available in most Online shopping websites. The launch price is about NGN70, 000-80,000. Now we’ve known much about the Tecno Camon CX (c10) device. Can we now talk about “Tecno Camon CX Air” device? Camon CX Air is the second variant and is said to be the lower smartphone among the two (Camon CX and Camon CX Air). It features similar specifications with the Camon CX but with some visible downgrades. The Tecno Camon CX Air is still a good mid-range device as; it features a good Chipset and set of cool processors. 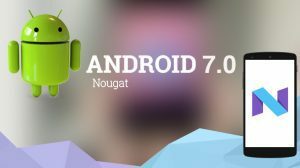 The device also comes with 4G LTE network and Android 7.0 Nougat operating system (OS). 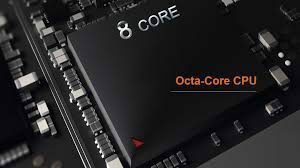 One might be wondering about memory aspect and how fast this device can work. Camon CX Air will definitely not disappoint; the 2GB RAM + 16GB ROM and 1.5 GHz 64-bit Octa-Core processor gives us the confidence that we have a fast and usable smartphone for multi-tasking and great gaming. The internal storage capacity of the Tecno Camon CX Air is 32GB and its expandable to 128GB via Micro SD. From the little info above, It is obvious that Camon CX Air and the Camon CX have similar Hardware, OS, and Network features. The difference between these two smartphones is the screen size and camera quality. 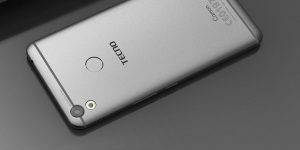 Camon CX Air has 13.0 MP cameras on both sides with 5.0″ screen size WHILE Tecno Camon CX is equipped 16MP cameras on both sides with 5.5″ screen. The price for the Camon CX Air is $180 which is about NGN 55, 500 approx. This is the much we are willing to share on the top 10 features of Tecno Camon CX and CX air Android 7.0 Nougat smartphones. We will appreciate your comments and contributions. Remember to share this page with your friends and social media followers alike. Thank you for sharing this awesome review of Tecno camon CX phone. This review was helpful and useful for my research. Are there too many background apps running? If fully charged while browsing will last for how many hours?????? ?